With the negotiations over sanctions and Iran’s nuclear program underway, and Congress threatening to reject the deal, one is tempted to consider the alternative. Both Israel and the United States have made it clear that a nuclear-armed Iran is not acceptable. But when the President utters the familiar phrase “all options are on the table,” what exactly do those options entail? 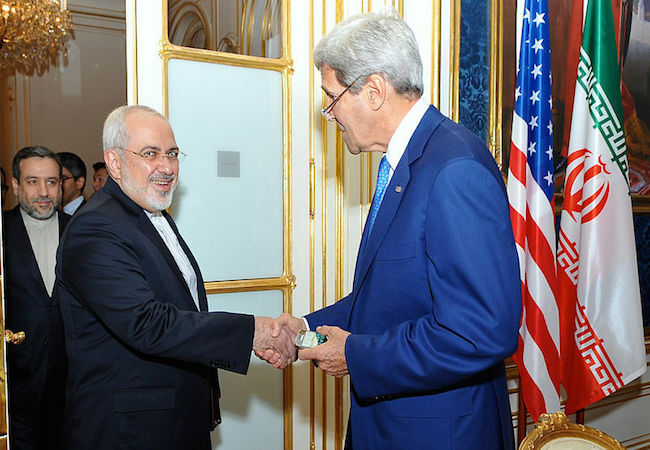 One alternative to a failed nuclear deal—assuming Iran wants the bomb—is war. The opening salvo might be an air strike meant to cripple Iran’s nuclear program. American and/or Israeli war planes would attempt to destruct as many strategic sites as possible, although this may be difficult considering some of them are located in mountainous areas. Covert actions, such assassinating Iranian civilian nuclear scientists, along with computer virus attacks targeting centrifuge systems, would accompany the air strikes. However, even these measures may be insufficient to guarantee that Iran could not weaponized uranium, and may serve only to delay the inevitable. Further, pre-emptive acts of war might not be enough to topple the current government, and could sweep the legs out from underneath the opposition. These strikes would almost certainly lead to retaliation, directly in the Persian Gulf and through regional proxies. A series of retaliations and counter-retaliations could lead to a full-on conflict between the United States and the Islamic Republic. The shape of such a conflict is not difficult to imagine, as the United States has had ample experience fighting in this region since 2001. In Afghanistan, it is the mountainous terrain that made fighting the Taliban extremely difficult, accompanied by the unsecure border with Pakistan granting Taliban fighters the freedom of movement. Fighting in defense of one’s own soil naturally puts the defender at an advantage because he or she has knowledge of the land and is more motivated, as Saddam Hussein’s specter can attest. The problem for invaders is compounded when this terrain is difficult and inhospitable. In Iraq, it was the densely populated urban areas that bogged down the American war machine. This is not unique; armies throughout the ages have found urban fighting to be particularly troublesome. As we have seen in recent years, the problem of urban fighting extends beyond conventional warfare, to post-war insurgencies. The best way to imagine Iran as a war zone from the eyes of an American military planner would be to combine the worst elements from Afghanistan and Iraq—and then double them. Both Iraq and Afghanistan each have a population of about 31 million people. Iran has a population of 80 million. Iran is larger than both Iraq and Afghanistan combined; it is three times the size of Iraq and nearly three times the size of Afghanistan. Iran has both densely populated cities, and endless mountain ranges. Of course, the regional climate cannot be discounted, as temperatures can reach over 100 degrees Fahrenheit. In light of the current conflicts in the region, Iran’s geostrategic location gives one pause. Iran is at the heart of the ancient Silk Road (and modern narcotics) trade route, and is the gateway between the current conflict zones in Iraq and Syria, and Afghanistan. It is in the chaos of instability that ISIL and other radical groups can spread by moving guns and fighters through unprotected borders. If Iran were to become war zone, one would see on the map that the entire region would be destabilized, from Damascus to Kabul. Ironically, the United States would lose a bed-fellow of sorts, as the Islamic Republic is violently opposed to ISIL, Al-Qaeda, and the Taliban. In the aftermath, Saudi Arabia would emerge as the dominant Islamic country in the region, and Saudi policies vis-à-vis these groups are not always predictable. This is of course to say nothing of Iran’s conventional military capabilities. Perhaps they can be considered at a discount—or perhaps not. In the fog of war, nothing is certain. With the trumpeted pivot to Asia, and the American military (and budget) already stretched thin from fighting around the Middle East, one is forced to weigh the costs and realities of a failed nuclear deal. From a rapid escalation in belligerence, to unintended consequences, some options may not have a place at the negotiating table after all. Jordan Ghasemi holds a B.A. in Political Science as well as a J.D.